Kinetic Arts, originally uploaded by jason.stajich. 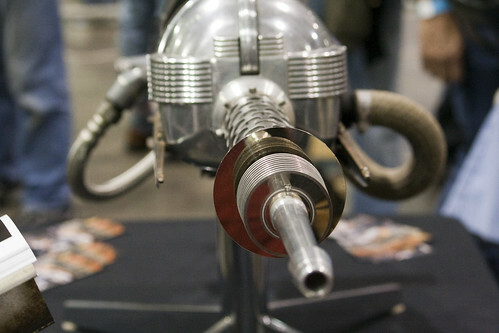 Had a fun day at MakerFaire 2009 – quite overwhelmed by the things to see and do. Picked up a few fun wood art+science piece for my new office. I loved what Xylocopa makes – check them out, one of the pair is a lifesciences graduate student and also an artist drawing some deliciously detailed designs. We also saw some more fun kinetic art like this piece as well as a some more art pieces from kinetic artist and friend Benjamin Cowden. My Flickr album plus lots more from others with makerfaire and makerfaire2009 tags.